Videogame maker King.com Limited, creator of the Candy Crush Saga has trademarked the word "candy" to protect their hugely popular game from persistent intellectual property infringement. The company obtained the trademark from the European Union and the US Patent and Trademark Office(USPTO), and they now own the intellectual property for the word in with regards to style, font, size or color and the trademark will apply not only to games and software, but also to areas such as clothing and footwear. Candy Crush Saga was the most free downloaded game for iPhones and iPads in 2013, with more than 500 million downloads since its launch in 2012 and it was the top revenue grossing app last year. It's estimated that it generates a little less than $1 million a day in revenue, and King claims users play more than 30 billion games per month. "We believe this app name was a calculated attempt to use other companies' IP to enhance its own games, through means such as search rankings." 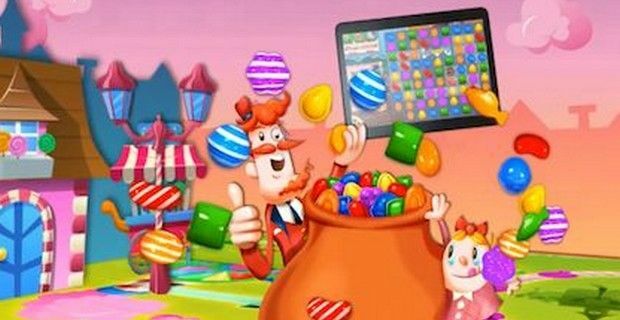 Gaming blog Gamezebo says that King Limited has already started asking other developers to remove the word candy in their titles and apparently developers are also receiving emails from Apple asking them to remove their apps from the App Store.